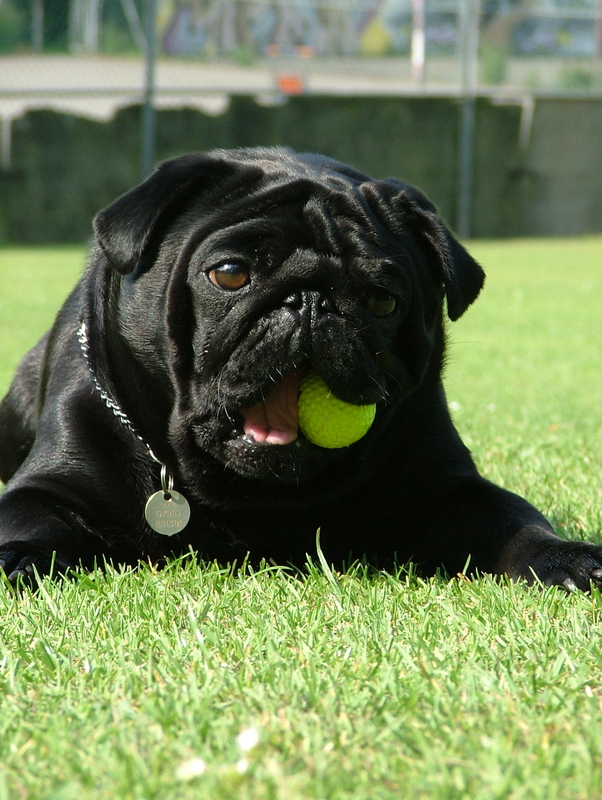 If only we could bring an expert ball hunting pug with us on the golf course, we would never lose another ball again! It looks like this little guys isn’t quite ready to give up his prize just yet! Sometimes the magnetic attraction to your comfy bed and cozy blankets are hard to overcome in the morning, especially when you don’t really have to get out of bed for anything in particular. 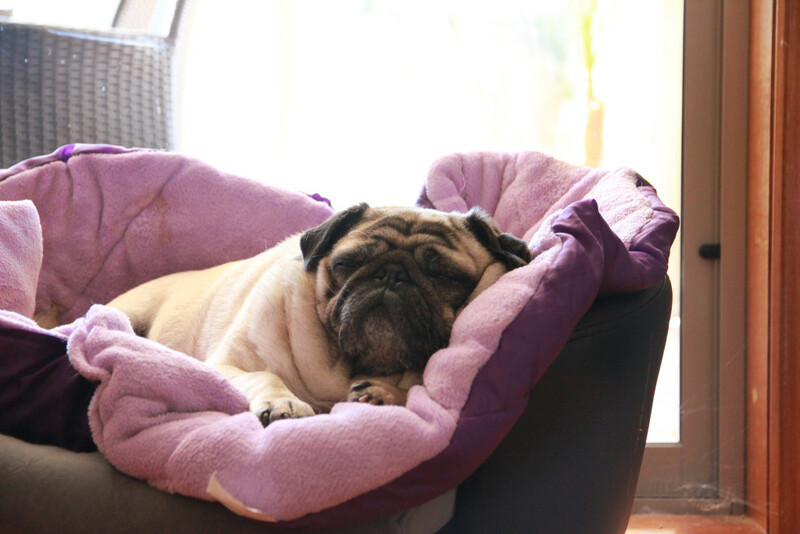 We’re channeling our pug spirit animal this morning and rolling over for a little more snoozing. So unbelievably happy to see you! These two are eagerly awaiting some cuddle time on the couch! 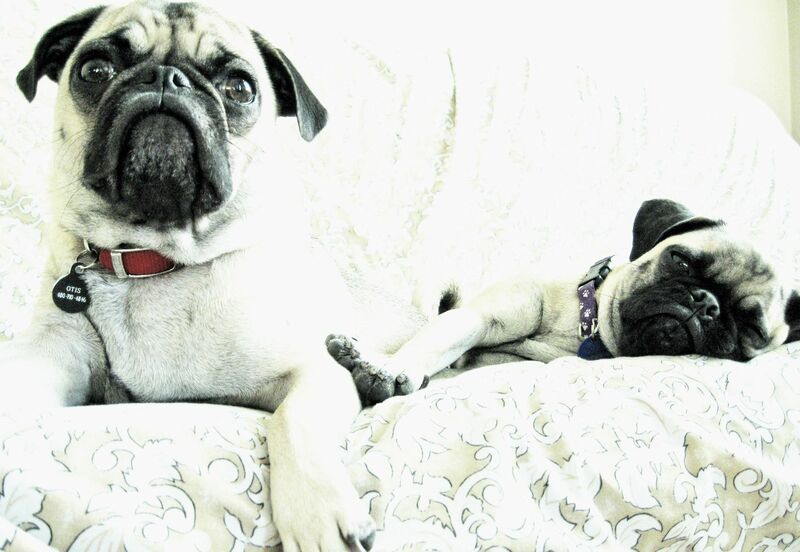 Snuggling your pug on the sofa is a great way to end a busy day! 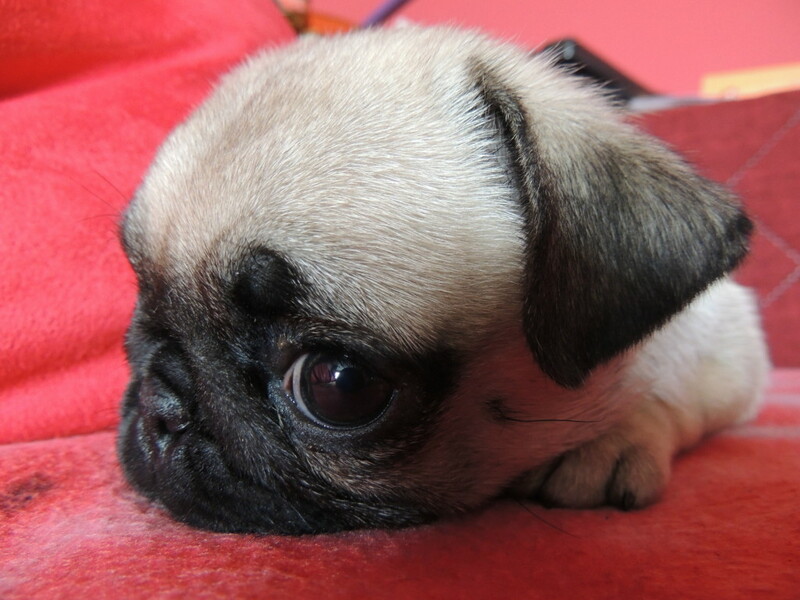 This pug is truly, utterly, cute! Those eyes! 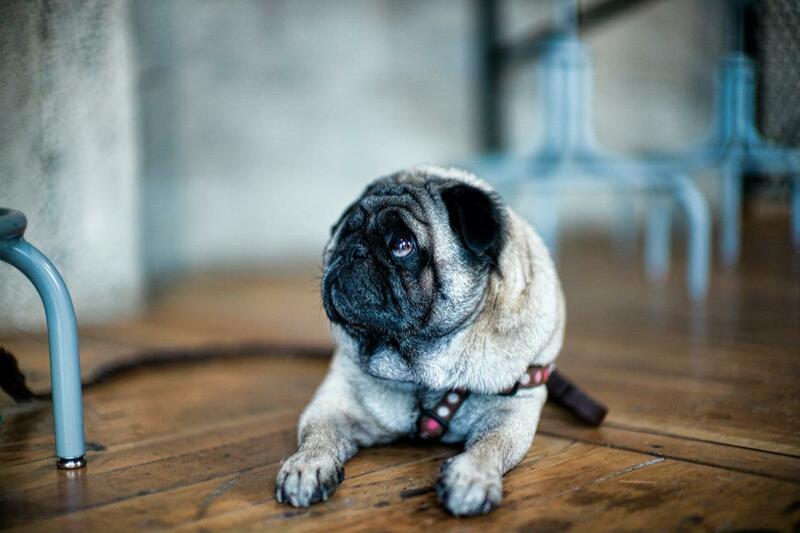 This cute pug looks up to you, literally. 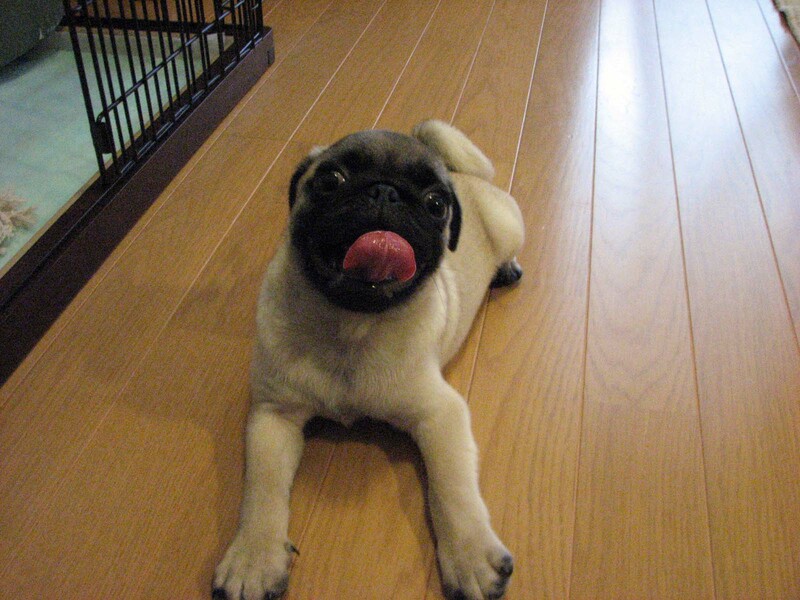 This pug is so adorable, look at that face! Enjoying a nice, relaxing soak in the tub! 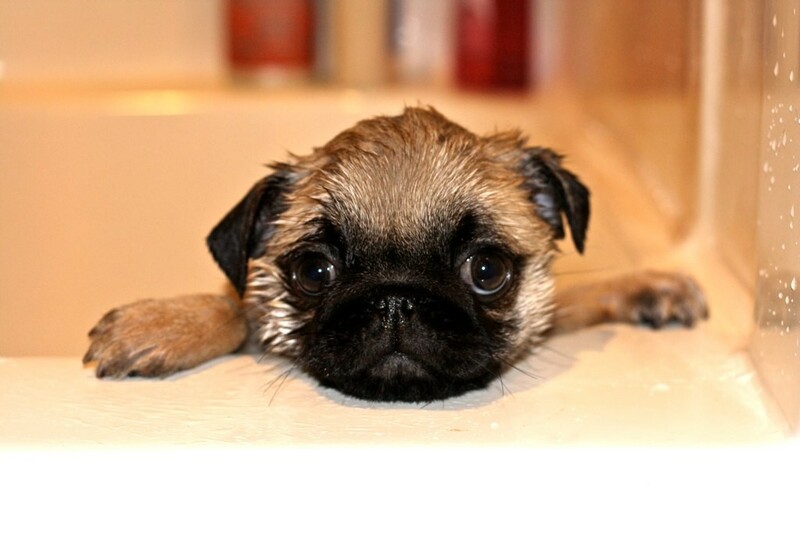 Bath time can be a challenge for some pugs, but for others it is an exciting event to look forward to. This darling little pug puppy looks like she is really enjoying being pampered with her spa treatment today! All signs point to nap time! 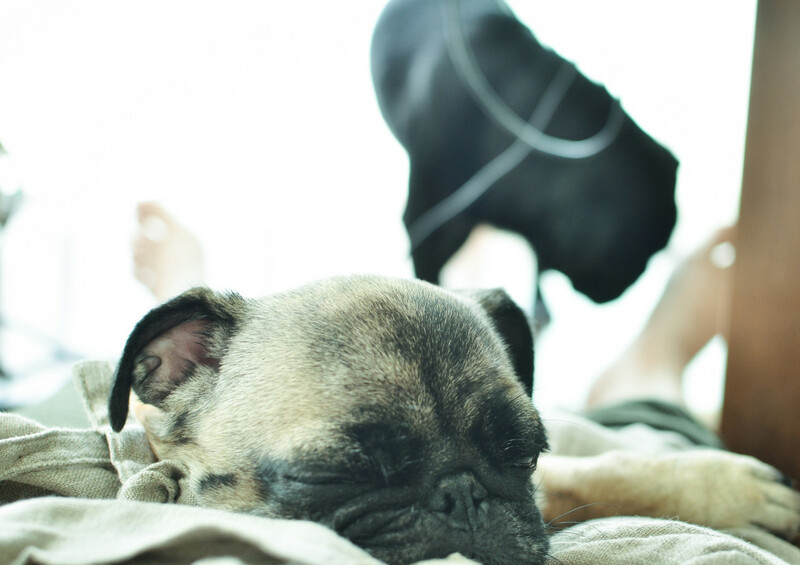 Sometimes you just need to settle in for a Sunday nap with your pug. The shopping and chores can definitely wait today. 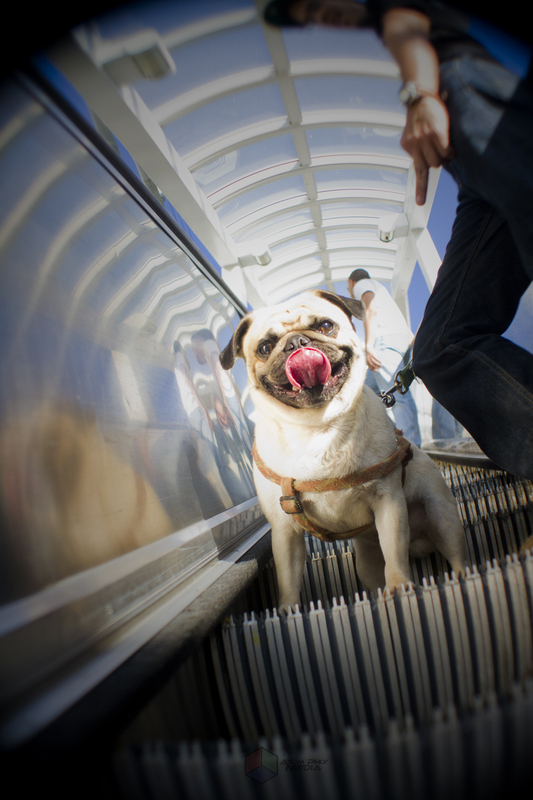 This cute pug is on his way up! 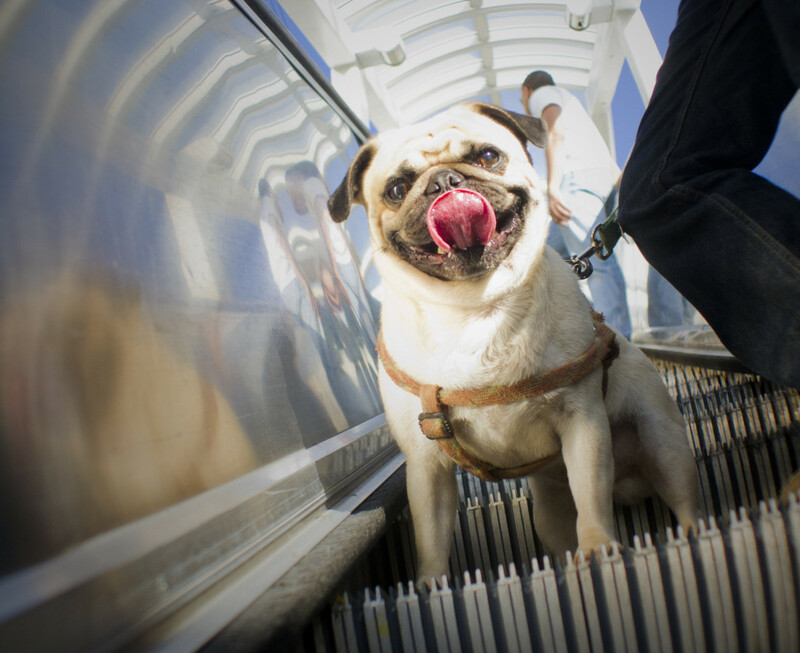 This adorable pug couldn’t be happier taking the escalator instead of the stairs. Not quite ready for morning! Morning can sometimes come all too quickly, especially when you’re a pug and you’re trying to fit fourteen or so hours of sleep in a day! 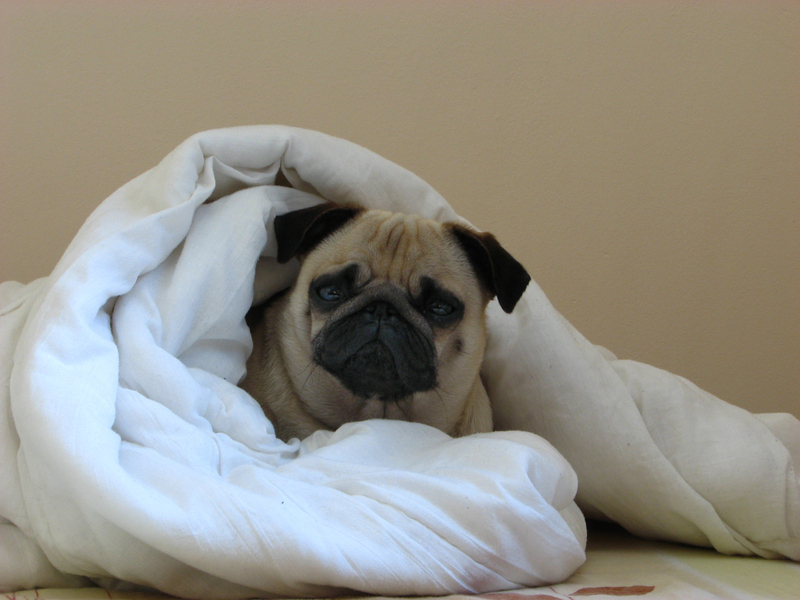 This adorable pug is definitely not quite ready to face the new day.